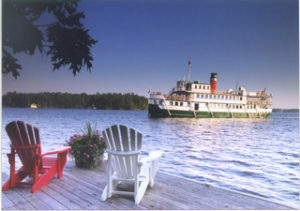 One time, Jamie had what he considered an “opportunity of a lifetime” to be project manager for the building of one of the historic Lake Muskoka steamships, the Wenonah II. He undertook to construct, from the keel plate up, the entire boat that was then sea trailed and certified. Obviously, he knows a thing or two about craftsmanship, quality and building and it is evident in the design and construction of every home he builds.